WASHINGTON (NASA PR) — After nine years in deep space collecting data that indicate our sky to be filled with billions of hidden planets – more planets even than stars – NASA’s Kepler space telescope has run out of fuel needed for further science operations. NASA has decided to retire the spacecraft within its current, safe orbit, away from Earth. Kepler leaves a legacy of more than 2,600 planet discoveries from outside our solar system, many of which could be promising places for life. NASA’s Ames Research Center in California’s Silicon Valley manages the Kepler and K2 missions for NASA’s Science Mission Directorate. NASA’s Jet Propulsion Laboratory in Pasadena, California, managed Kepler mission development. Ball Aerospace & Technologies Corporation in Boulder, Colorado, operates the flight system with support from the Laboratory for Atmospheric and Space Physics at the University of Colorado in Boulder. Well done. 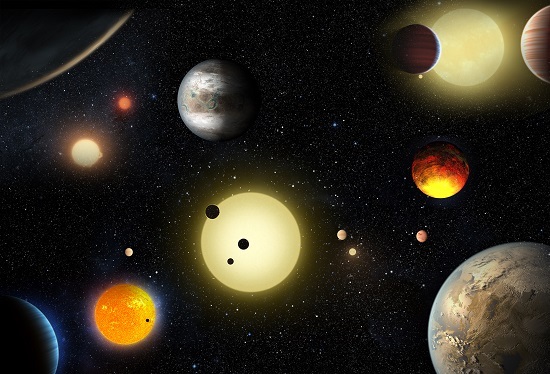 Is the data from Kepler being made available internationally for scientists to study? Perhaps at some date in the future a private group will fund a BFS to locate it, refuel and repair it and return it to service. The goal of such a mission would seem far more likely to be retrieval so Kepler could be exhibited alongside Hubble in the National Air & Space Museum.